After the Referendum: Life went on exactly as before, except when it didn’t. "Each cannot help seeing the other, on occasion, as trespassers – the young seeing the old as immigrants from the past, the old seeing the young as immigrants from the future." 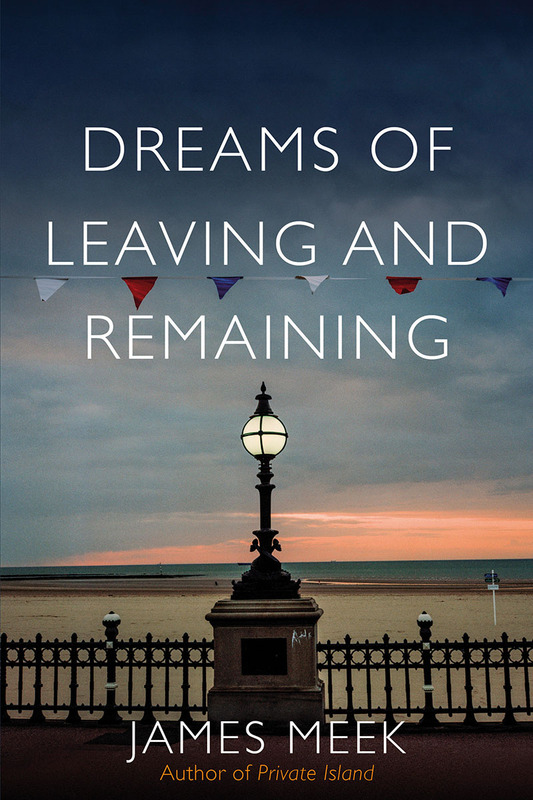 In this extract from Dreams of Leaving and Remaining, James Meek investigates deepening divisions in the immediate aftermath of the 2016 Brexit referendum. The weeks after the referendum were a jittery and unsettling time. Life went on exactly as before, except when it didn’t. In Norwich, a deli selling traditional Romanian produce was firebombed in the small hours of the morning. No one was hurt, although people were sleeping in a flat over the shop when it happened. A local crowdfunding appeal quickly raised almost £30,000 for the damaged business. A few days later I went with my infant son to a rally for tolerance held in the market square in response to the attack. The numbers were pitifully few. I remember looking round my fellow demonstrators and thinking none of us would be much good in a street fight. I also remember it was a warm sunny evening and the town looked its usual peaceful, unambitious self, all its history of war and sectarian strife locked away in picturesque monuments of ancient stone. My anxious imagination – perhaps not without some perverse wish for it to happen, just to show the Leavers what they were tampering with – saw a reawakening of real conflict. My sober self told me I was being a fool. This was Norwich, the town Steve Coogan made a comedy byword for English blandness and bathos. The real event wasn’t to be seen outside, but felt within. I doubt I was alone among Remain voters in feeling, for the first week or two after the referendum, that sleep-reducing ball of anxiety in the pit of my stomach which signifies the perception not just that a deeply wrong event has occurred but that the very framework within which events of any kind occur has been broken. I should have recognised the feeling sooner. It was a feeling I perceived intellectually, but didn’t experience personally, when I talked to people in the former Soviet Union about their regret for the collapse of the USSR – its economic collapse bound together with the belittlement and dissolution of its dreamlandmarks. It is a feeling, I imagine, very similar to learning that the mine or factory where you and your family have worked for a generation or two is closing, or that new people who look and talk and dress differently from your people are eligible for public benefits you’ve been queuing for. And now we Remainers were feeling it: people like me who had remotely observed others were experiencing it for ourselves. For Leavers the merit of voting to leave the EU wasn’t only in winning. It was in getting their opponents to feel like losers – to feel what they had felt, that deep unease at the shattering of their dreamscape. My bad feeling was somebody else’s catharsis. One of the strangest things about Brexit is that a vote which was supposed to resolve Britain’s situation in the world for generations didn’t settle any of the urgent problems facing the country. It did nothing to challenge companies and individuals jurisdiction-hopping around the world as they grab short-term gains by suppressing wages and undermining the European principle of commonly funded universal networks of public services. Nor did Brexit resolve the economic and cultural tension between three parts of the population – the native working people of Britain, immigrants from abroad, and the growing number of retired people. The fracture between native Britons and immigrants is only a shadow of the more deep-seated, unsayable stress between the younger and older parts of the population, estranged from each other, as the result of a huge increase in life expectancy, over a greatly enlarged realm of time. Each cannot help seeing the other, on occasion, as trespassers – the young seeing the old as immigrants from the past, the old seeing the young as immigrants from the future. The arena in which these tensions play out is the National Health Service. Unfortunately for Brexiteers, who campaigned under the lie that leaving the EU would free up £350 million a week for the NHS, the winter following the Brexit vote was the winter the NHS began to break down. It happened too soon after the referendum for the vote to have caused it, but the misdirection of political energies towards the European question distracted government from warnings of the desperate state of the health service and the closely linked system of social care for the infirm elderly. What would it look like if the NHS ‘collapsed’? Not hospitals exploding, or the dead carted off in trucks. Something more subtle, but not without loss. Everyone knows what happened to the Titanic. It hit an iceberg and sank. But suppose the Titanic had never hit the ice. Suppose, instead, it had sailed peacefully on to safe harbour on the other side of the ocean. And suppose, when the passengers disembarked, it emerged that every night during the voyage, economies by the ship’s owners meant one or two of them had accidentally fallen overboard and drowned. The ship didn’t sink; it was not a historic, cinematic moment of disaster. But on board, nonetheless, something had gone horribly wrong. This extract is taken from Dreams of Leaving and Remaining by James Meek; a masterly portrait of an anxious, troubled nation. Out now. The anatomy of Britain on the edge of Brexit, by Orwell Prize–winning journalist. 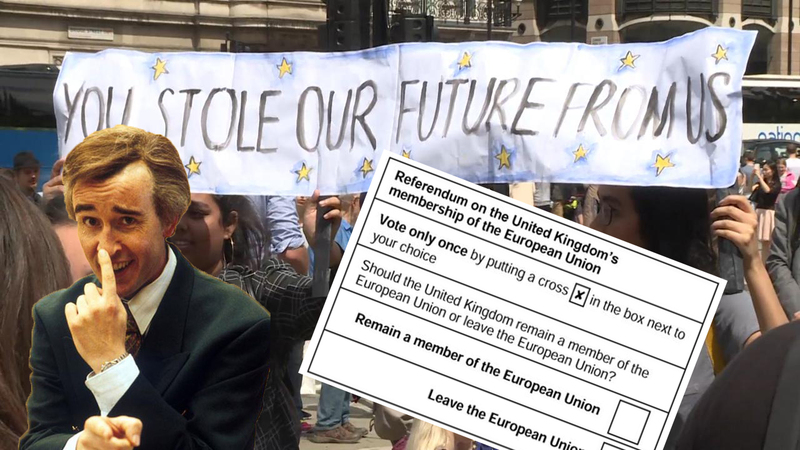 Since Britain’s 2016 referendum on EU membership, the nation has been profoundly split: one side fantasizing that the referendum will never be acted upon, the other entrenched in questionable assumptions about reclaimed sovereignty and independence. Underlying the cleavage are primal myths, deeper histories, and political folk-legends. James Meek, “the George Orwell of our times,” goes in search of the stories and consequences arising out of a nation’s alienation from itself. In Dreams of Leaving and Remaining, Meek meets farmers and fishermen intent on exiting the EU despite the loss of protections they will incur. He reports on a Cadbury’s factory shut down and moved to Poland in the name of free market economics, exploring the impact on the local community left behind. He charts how the NHS is coping with the twin burdens of austerity and an aging population. Dreams of Leaving and Remaining is urgent reporting from one of Britain’s finest journalists. James Meek asks what we can recover from the debris of an old nation as we head towards new horizons, and what we must leave behind. There are no easy answers, and what he creates instead is a masterly portrait of an anxious, troubled nation.